The project envisions grants of up to Rs 1 crore for selected innovations, products in 17 focus areas. It aims to bring-in innovations and technologies relevant to the people. It will focus on efforts towards solving problems in core areas, which would have direct impact on improving lives of citizens and also generate employment. AIM will attempt to harness the potential of India’s innovators. For this initiative, AIM has partnered with Ministries of Housing and Urban Affairs, Road Transport and Highways, Agriculture and Family Welfare, Drinking Water & Sanitation and Railway Board. AIM will invite prospective innovators, MSMEs and start-ups to design market-ready products using cutting edge technologies or prototypes across pre-identified 17 focus areas that have been named. Applicants showing capability, intent and potential to productise technologies will be awarded grants up to Rs 1 crore. These grants will be awarded in up to 3 tranches within 12 – 18 months and will not be mutually exclusive and will be given based on Selection Committee’s perception of potential. The winning grantees will be supported with mentoring, go-to-market strategies by leading incubators, accelerators and experts, technical support and other means. 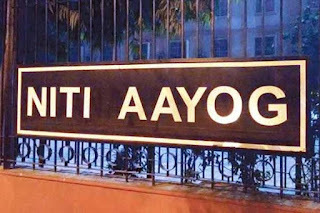 It is a flagship initiative set up by the NITI Aayog to promote innovation and entrepreneurship across India. Its mandate is to create umbrella structure to oversee innovation ecosystem of country and revolutionize innovation eco-system. It aims to develop new programmes and policies for fostering innovation in different sectors of economy.